On World Hearing Day we thought we’d find out more about horses’ hearing – from how it compares to humans to how problems can impact their lives. We spoke to experts Prof Kathryn Bright, Professor of Audiology at the University of Northern Colorado, and Prof Rickye Heffner, of the University of Toledo, to discover the importance of hearing for horses. Prof Bright works for the university’s FETCHLAB centre, an internationally renowned animal hearing and bioacoustics laboratory. Prof Heffner has studied hearing in about 40 different species of animals over the last five decades. Horses hear sounds over a wider range of frequencies than we do, although the decibel levels they respond to are about the same. As Prof Bright says: “Humans with good hearing perceive sound in the frequency range of 20 Hertz to as high as 20,000 Hertz, while the range of frequencies for horse hearing is reported as 55 to 33,500 Hertz with their best sensitivity between 1,000 and 16,000 Hertz. “As anyone who works with horses knows, that means they can often be aware of something outside our range of hearing and react to it. Hearing serves the same role in all mammals. It allows us to detect other animals - since it is animals that make most of the sounds that other animals hear. Once an animal is detected, ears tell us where it came from so we can scrutinise it visually to decide whether it is a danger or not. “Horses are not good at this,” says Prof Heffner. “This is probably because their vision is so good and takes in virtually the entire horizon. As prey animals, horses prefer to stay in herds, and communication is accomplished by body language rather than vocalisation and sound. They rely on body position and subtle body and head cues, even the twitch of an ear or the widening of an eye, to communicate within the herd. Prof Bright adds: “That said, they do use their exquisite sense of hearing to pick up on changes in their environment, also a characteristic of prey animals. Like all mammals, a horse’s ears are shaped to locate, funnel, and amplify sounds. 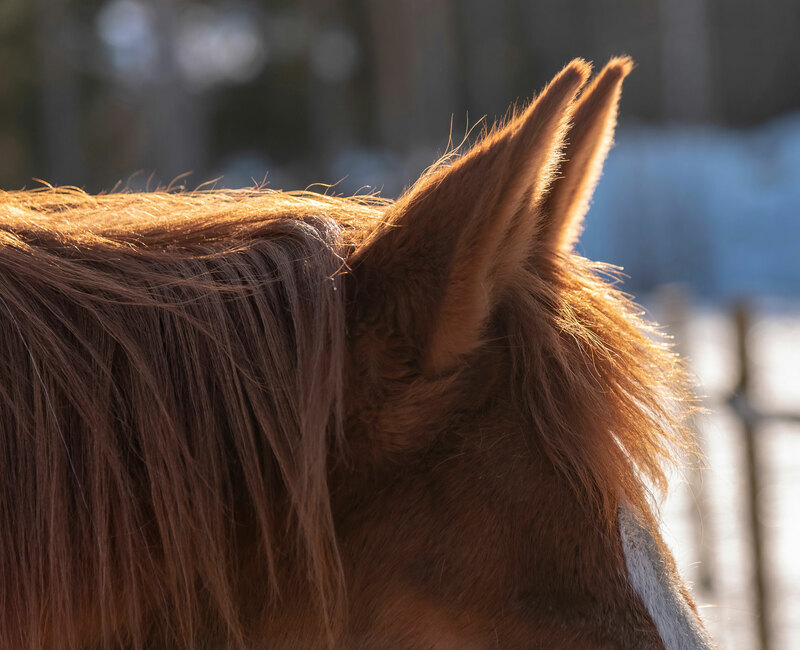 Not only are equine ears shaped to hear, but because of the musculature around the ears, they can rotate each ear independently as much as 180 degrees to pay attention to a sound without turning the head. Prof Heffner says the rotation is because they are not good at locating the source of sounds. Horses’ ears are primarily for hearing, but they are also utilised to express and communicate. When a horse puts its ears back this usually means they are angry, and they may be threatening or warning another horse. If the ears are held forward and the horse is attentive, it means the horse is listening. If the ears are tipped forward and stiff and the nostrils flare, it means the horse is scared or really interested in something. Horses with hearing loss may exhibit behavioural changes - not responding to voice cues, for example - or may be more anxious than usual. And in many cases, hearing loss can be undetected or overlooked. “My experience is that hearing is not something a horse owner or trainer normally thinks about when a horse has a behaviour change,” Prof Bright says. Hearing loss related to ageing, also known as presbycusis, is a form of sensorineural hearing loss that presents as increased hearing thresholds and changes in auditory processing. 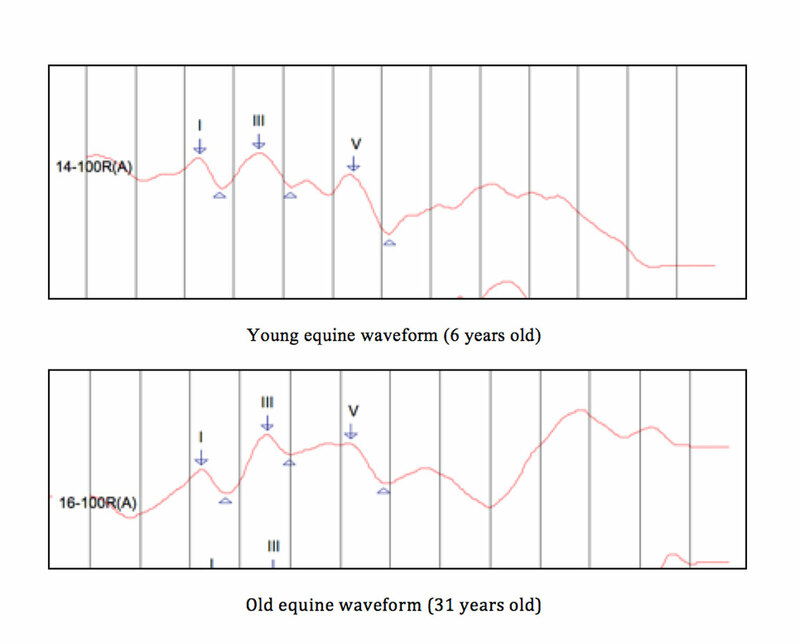 Loss of hearing with age does not appear to be as significant for horses as it is for humans, as the FETCHLAB data in the above chart illustrates. However, it’s possible environment rather than physiology is the cause of the difference between the deterioration of human and equine hearing. She adds: “We concluded from this study that what we consider age-related hearing loss in humans may actually be the cumulative effect of noise exposure, toxic substances, and other environmental factors occurring over a lifespan. “It is possible that purely age-related effects cannot be studied in humans because of all the confounding factors inherent in modern living. For animals not exposed to the same environmental conditions, such as horses, age-related changes in hearing may not be as pronounced as those we see for humans. In addition to ageing, the disorders that affect equine hearing are temporohyoid osteoarthropathy (THO), congenital deafness (often related to coat colour), brain diseases, head trauma, and ear infections. When a horse is identified as having hearing loss, training and handling, can be positively impacted. The key is awareness of the problem. Prof Bright says: “A horse with hearing loss may not be able to hear commands or sounds in its environment but that horse is no different from any other horse in other ways and will respond to training. “The owner/trainer must understand the communication needs of the horse and figure out how to communicate effectively with a deaf or hard of hearing horse. Use of more visual and tactile cues will be required. 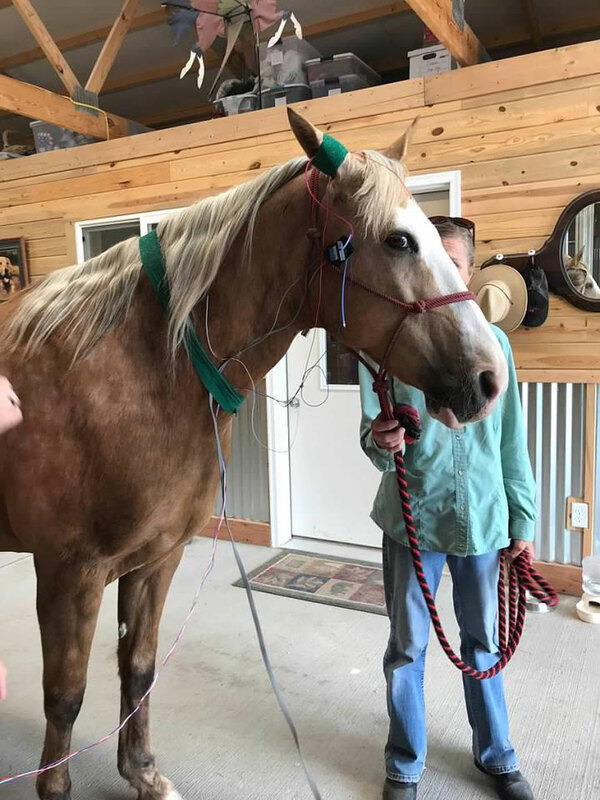 “If owners and trainers are aware of the horse’s hearing loss, they are then able to train and handle the horse in a manner that is safe to both the trainer and the horse. We wondered whether horses' hearing has adapted over history?